Soul Staples: Viva le Fleur! Flowers are pretty, at least most of them, and smell good... at least... most of... them. Right. The point is, when you see a flower pattern, you normally are repulsed, because it's too much all at once, and no one can stand it. But we must remember that the floral way doesn't have to be bad. These heels can be found at urbestfashion.com for $130, which is a little pricey, but they are made of leather and look pretty classy. Black goes with everything. 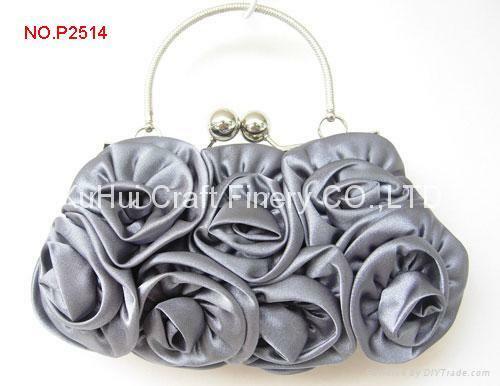 Plus, the flower has the zipper edge to it that makes it look awesome. Let's bring back the brooch! 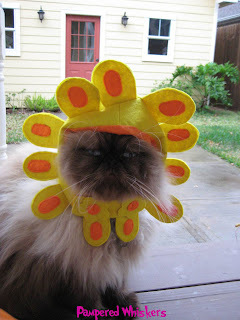 sz-wholesale.com has them, and they are cute. This doesn't have to be your grandmother's brooch. 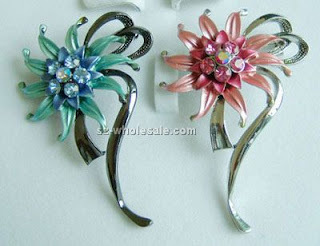 There are many a-brooch that you can try to give a bit of a sparkle in the corner of your eye. Or on your lapel. Fun word. 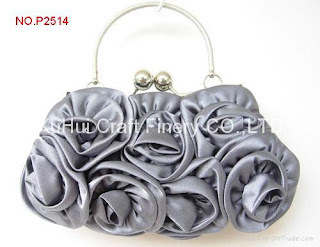 This satin handbag, from diytrade.com, also comes in red, light green, lavender and cream. I like this one because silver is my new black. chictopia.com offers a dress with a hint of a floral pattern. The colors are great, and you could also look into the necklace she has. I like that too.